Sharks are the ultimate predators, comfortably sitting at the very top of the food chain; but even they have their enemies (the biggest one being us, of course), especially when they’re small – nobody fears a small shark. But even in their defenseless period, sharks have managed to find a way to adapt. Australian researchers found that the embryos know when a predator is coming by detecting its electric field, despite being confined in the small case. Sharks use jelly-filled pores on their heads called electroreceptors to recognise other animals, and especially other predators. “Embryonic sharks are able to recognise dangerous stimuli and react with an innate avoidance response,” explained Ryan Kempster, a shark biologist and member of the research team. 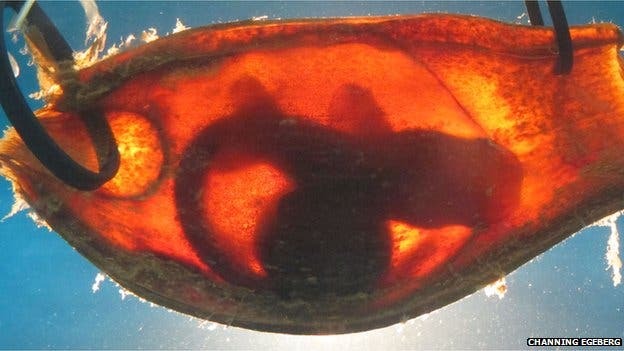 The embryos (of some sharks) are encased in a leathery egg shell, developing independently from their mothers, something which renders them vulnerable to several species. When the embryo starts to grow, the egg starts to open, marking the moment when outside predators can detect the embryos movement. Scientists were expecting to find some sort of adaptation to this problem, but they were surprised to see just how efficient the method really is. The study was conducted on bamboo sharks, a species that grows up to 1.2m in length, most often found in the western Pacific or in the Australia-New Guinea region. The thing is, this kind of study could be very useful for humans in developing shark repellants, and also for saving sharks from being killed as by-catch in fishing nets.